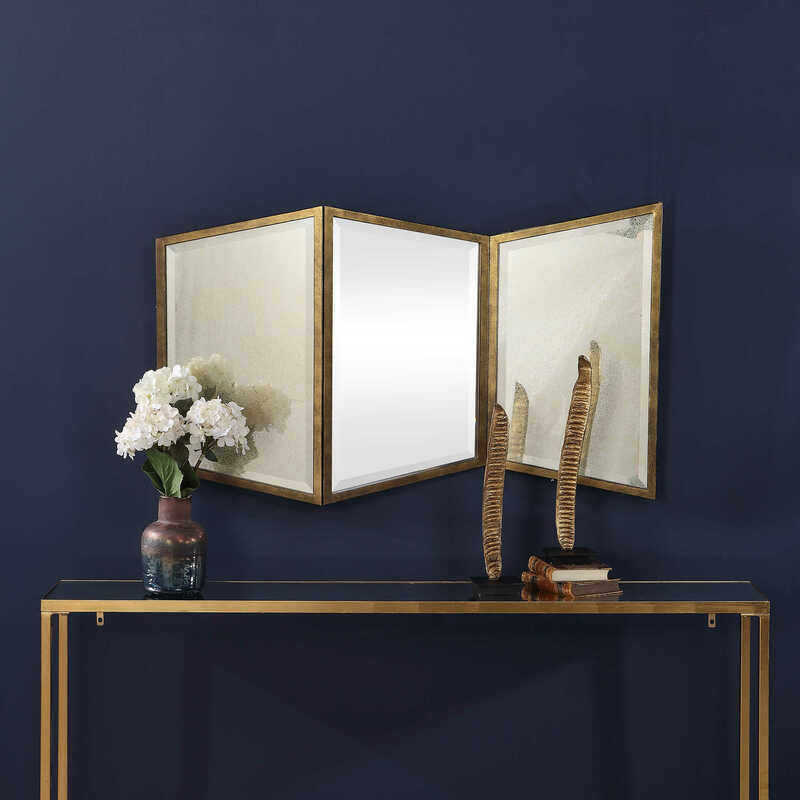 This geometric design features three trapezoid-shaped mirrors that have alternating angles that create unique depth. 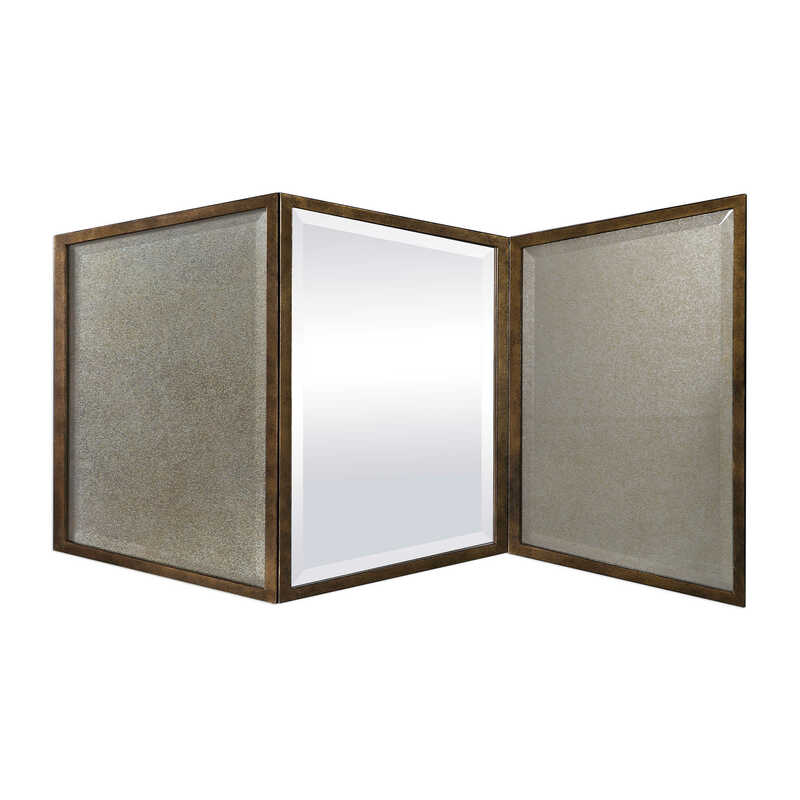 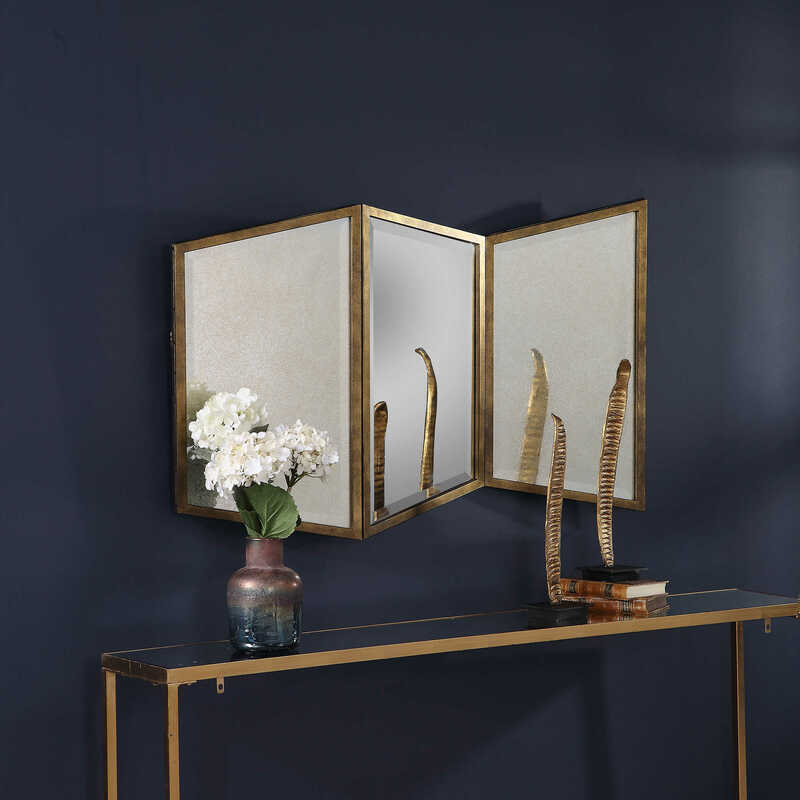 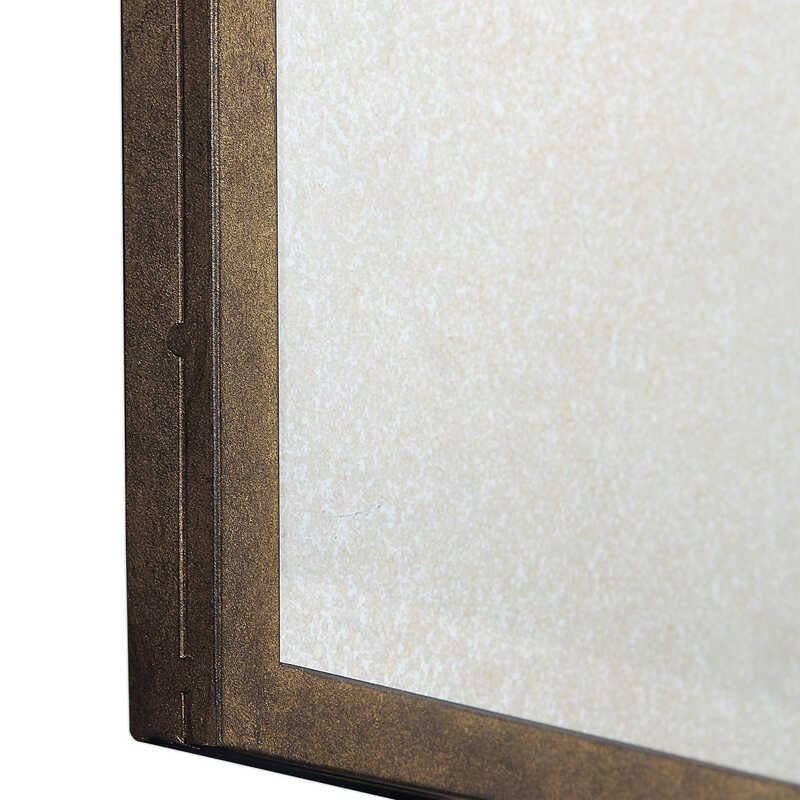 Antique mirrors are placed on each side while a standard mirror is placed in the center, all encased in a forged iron metal frame that's finished in a hand applied antique gold leaf. 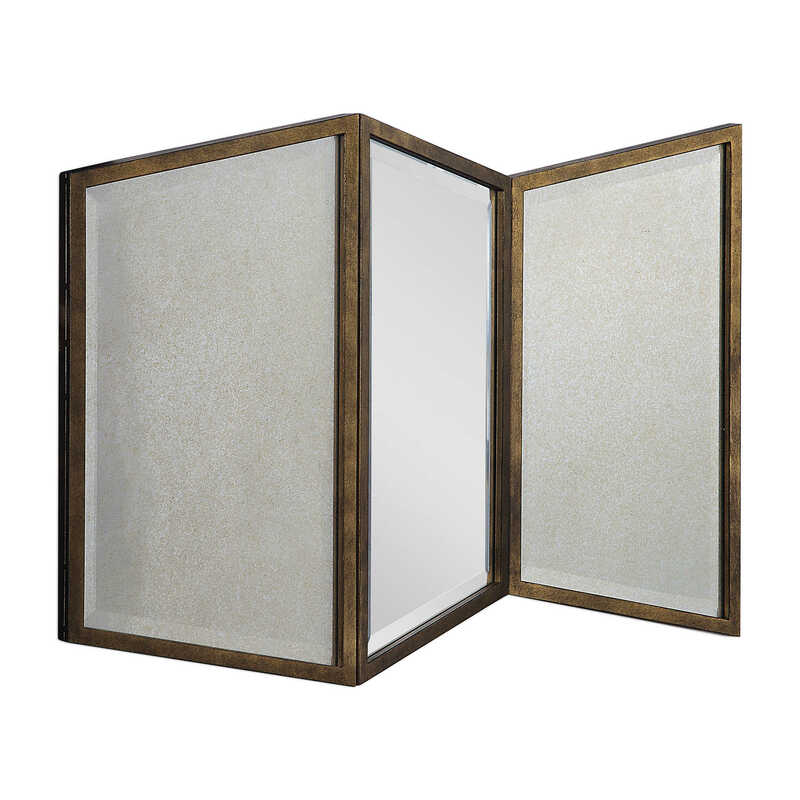 Each mirror has a 1" bevel.